Perched majestically on the slopes of Mount Teide, bordering the towns of Garachico and La Orotava, is Icod de Los Vinos. With its highest point reaching 235 meters above sea level, this go-slow village and municipality is a natural viewpoint to the northwestern coast of the island. Surrounding Icod de Los Vinos is a lush and fertile valley of dense pine forests. The lower regions are enjoying more natural sunlight while the higher altitude area produces more rainfall. Thanks to its mixed and unique climate, the weather is great for a land teeming with crops. As such, the town is beautifully swarmed by banana plantations and vast vineyards. From the center, visitors can marvel at the breathtaking views of the Atlantic Ocean, the majestic Mount Teide, and its evergreen canopy. Strolling around, it’s easy to see rich Canarian traditions hanging in the air of this charming old town. Icod de Los Vinos is a perfect day trip spot for tourists who want to take a break from the Tenerife’s crowded resorts. The town’s immaculate cobblestone paths lead the way to an old quarter dotted with well-preserved buildings. For those who crave adventure, there is a handful of exciting activities, including spelunking in the largest volcanic cave in the world. The town’s idyllic location and lovely weather are perfect for a pleasant stroll any time of the day. Icod de Los Vinos is designed in a way that visitors will find interesting spots at every corner. One can’t go to Icod de Los Vinos without visiting El Drago Milenario. Standing 22-meter-high in the middle of a garden, this spectacular ‘Dracaena Drago’ is the pride of the town. According to the locals, this icon is over 2,000 years old. 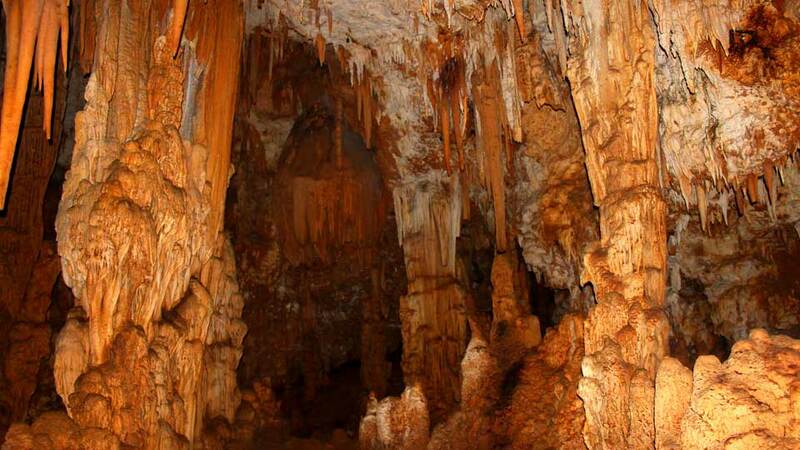 However, experts say that it is only around 500 to 600 years old. Regardless of its age, this impressive tree is a major draw for visitors wanting to see firsthand one of the islands oldest mysteries. Surrounding the El Drago Milenario is a well-manicured botanic garden known as Parque del Drago. In addition to the tree, this park also features lovely palm trees and gushing water. With pop up stores and local stalls around, this is one of the best places in town to indulge in souvenir and delicacy shopping. All these and more add to the serenity of the garden that is ideal for some refreshing time with nature. Situated in the old town, Parque Andres Lorenzo Caceres is surrounded by grand old homes and cobbled streets. Less crowded than Parque del Drago, this garden boasts ravishing view of the town and the surrounding sea and landscapes at every corner. While the park is lovely any time of the year, strolling around it is made more magical on spring months when it’s awash with colorful blossoms. Built in the 15th century, the Church of San Marcos is one of the oldest churches in the north of the island. The church’s white-washed exterior is spotless and adorned by trees, sitting in a peaceful spot within the Parque Andres Lorenzo Caceres. Aside from being a place of worship, this church also features an excellent museum with rare artifacts and historic works of art. Considering the size of this quaint town, Icod de Los Vinos is home to a number of interesting museums. Visitors won’t find any two showrooms with the same theme. From doll museums to halls housing the finest Guanche artifacts, each display is well worth a visit when in Icod de Los Vinos. Regarded as one of the best gems in town, ARTlandya offers more than a museum experience. The private doll collection brings back nostalgic memories of childhood. Making the collection more interesting, each of the 400 dolls was hand-crafted and comes from different parts of the world. Ultimately, the meticulous attention to doll details sets this exhibit apart from other similar museums. Museo de la Malvasia is a hidden wonder of Icod de Los Vinos. Often overlooked, this place is more of a little garden than a museum. Interesting flower plants and trees surround a rustic shop that sells snacks and wine. In essence, the setting seemed to be straight out of fairytale books, magical and intimate. Located in a shopping center, Museo Guanche is fairly small in size but it provides the visitors a complete journey through the history of the Guanche tribes. This museum is a must for those wanting to have an overview of the Canary Islands before the Spanish conquest. Even with almost 10-kilometer shoreline, there are only a few beaches open to the public at Icod de Los Vinos. Boasting 130 meters of black sand beach and strong waves, Playa El Monis may not be every visitor’s cup of tea. Even so, the sight and sound of raging ocean lapping through the cliffs are dramatic and a delight to the senses. The fine black sand and good swimming conditions of Playa de San Marcos is ideal for families with kids in tow. Featuring gentle waves and clear waters, this charming beach is perfect for a relaxing dip after a day in town. Locals and tourists also find condition of the sand and the spick-and-span beach ideal for sunbathing. After spending some time lazing on the beach, cool down to some refreshments and snacks at the nearby restaurants. Visitors looking for some action while at this relaxed, tranquil town will find very limited options. Even so, it’s rewarding and adrenaline-rushing. Known as the largest volcanic cave in the world with over 17 kilometers known length, Cueva del Viento is a haven for cave enthusiasts. Consisting the cave is an interesting complex lava tube with several entrances. Exploring the nooks and crannies of this world-class natural attraction, visitors will come across geomorphological structures and unique fauna, both living and fossilized. Icod de Los Vinos is located in the northwest part of Tenerife. The town is perched on a continuous smooth slope from the extensive pine forests down to the sea. Traveling to the town is easy from any part of the island. Visitors coming from Santa Cruz may take the Autobus TITSA 348 that departs four times a day. If coming by car, the easiest route will be through TF-21 then TF-5 motorways, which takes approximately 70 minutes. Guests driving on their own from Puerto de la Cruz may reach the town in 30 minutes through the TF-5 motorway. TITSA bus 363 and 354 also leave twice a day each to Icod de Los Vinos. Coming from the south, visitors may take the TITSA bus 471, 460 and 473 that depart in the afternoon. Those renting a car or driving on their own may take TF-1, TF-375, TF-82, TF-373 then TF-366 motorways to get to Icod de Los Vinos. Visitors who are driving may use these GPS coordinates: 28°21’ N 16°42’ W.
The ancient dragon tree has been attracting more and more visitors on a regular basis. With the influx of tourists each year, more and more hotels have been set up in the touristy areas. In particular, the ancient houses in the Old Town were transformed into beautiful rustic hotels. Situated in the Old Town of Icod de Los Vinos, visitors will have to drive or walk on cobblestone roads to get to this hotel. This renovated 18th-century house boasts traditional Canarian architecture. At the center is an outdoor seating area where guests can soak up the sun while savoring their meals. The hotel’s location is idyllic for first-time visitors, close to the shopping district, cafes, and restaurants. Feel like a local aristocrat at Hotel Emblematico San Marcos, a hotel set in an 18th century Canarian house. The rustic charm of the hotel interior is delightful, featuring wooden floors and ceilings. It also features a shared lounge, garden, and terrace where guests can admire the view of Mount Teide. Located in the village of Cueva del Viento, this apartment hotel is perfect for visitors who wish to explore the largest volcanic cave in the world. After a day exploring the town, guests may relax at the outdoor pool or sun terrace. When the sun has set, what is more inviting than a barbecue dinner? The staff is friendly and accommodating, making sure that they cater to all their guests’ need. Visitors who would like to stretch out their budgets while on holiday will find a number of options to choose from in Icod de Los Vinos. These accommodations do not have the modern hotel amenities or room service. Rest assured, however, that visitors will find a home in these holiday rentals. Drago Nest Hostel is a home away from home with its friendly and accommodating staff. The amenities, which include a well-manicured garden, terrace and fully-equipped rooms and kitchen, do not disappoint. It also boasts wonderful location, only 10-minute walk away from the town center, and a great starting point for hikers and spelunkers. This family-friendly apartment features spacious and clean lodgings. The whole complex is modern and each unit is fully-equipped with all things guests may need. Guests can experience waking up to the relaxing sound of the ocean, thanks to its ideal location only a couple of steps away from Playa de San Marcos. Apartamentos Monasterio de San Antonio, a 200-year old former monastery, is one of the most idyllic holiday rentals in town. The complex is teeming with flora and features a terrace that boasts an unrivaled view of the ocean. Furthermore, the apartment is only a 10-minute downhill walk to the bus stop. Lining the streets of the Icod de Los Vinos Old Town are a plethora of restaurants and cafes. Each stop is different, from tempting cheese and wine shops to mid-range restaurants serving traditional Canarian dishes. These restaurants benefit from local produce and its proximity to the sea. Ranging from local cuisines to international, visitors will never run out of options. After a stroll around the old town and Parque del Drago, it would be best to complete the local experience with some authentic Canarian food. At La Parada Casa de Comidas, visitors can sample high-quality local food complemented by beer or wine. Those who’ve been to the restaurant claim that they serve the best food on the island. Aside from the food, the friendly staff and warm atmosphere are also noteworthy. Situated near El Drago Milenario is the modern Restaurante El Mortero. Less crowded than other restaurants, the ambiance is peaceful and perfect for the whole family. Tantalizing Canarian dishes are served in large portions at a great price. Lekkery is the perfect place for some local coffee and dessert after a meal or a long walk around town. Aside from mouthwatering sweets, this cafe offers delicious breakfast and brunch options. An interesting fusion of modern interior set in the Old Town of Icod, this place is favorite among locals and tourists alike. Anyone who’s never been to Icod de Los Vinos might have heard of the town because of its millennium-old dragon tree. However, there’s more to this historic town than just the host of the dragon tree. Old Town with stately houses and cobblestone paths, unique local cuisines, serene parks and friendly locals. All these await, and more, at Icod de Los Vinos. 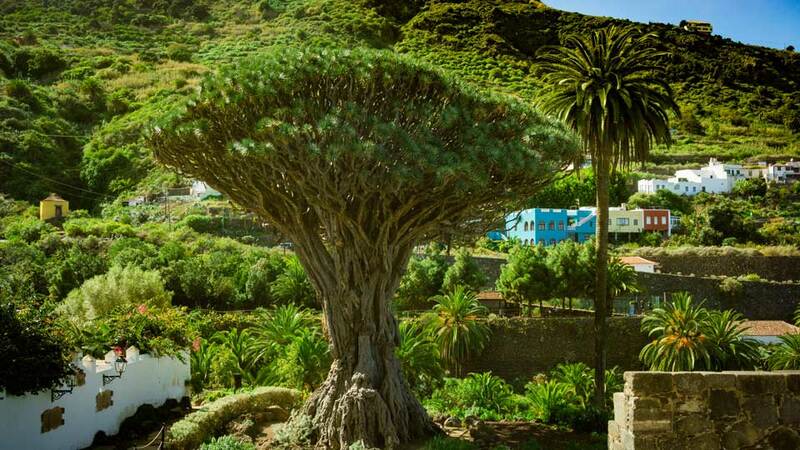 Spending a couple of hours immersing in the town’s culture and tradition and simply taking in a warm atmosphere, visitors will feel that the ancient dragon tree that town and the island of Tenerife are popular for is just a cherry on top of a mouthwatering, flavorful cake.